From an industrial perspective, the book begins with chapters on the casting techniques most commonly used in industry today. It then describes the underlying science fundamental to solidification mechanisms, including fluid flow, the effects of cooling rates, modern simulation, and modelling methods in use and their application in various casting scenarios. 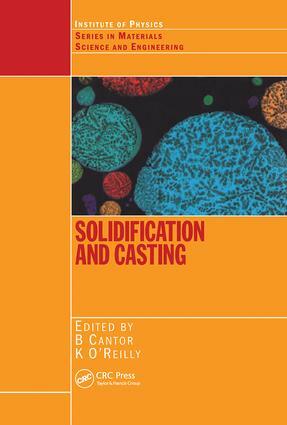 Next, the authors consider the microstructure of cast materials and their defects, and explore how different casting processes can control these parameters. The book concludes with the most recent developments in the field and discusses new processes and materials, such as novel alloys and composites, metallic glasses, ceramics, and superconducting oxides.